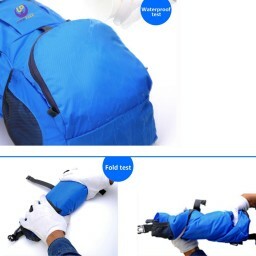 SMART,SPACIOUS,TRENDY & VIBRANT FOLDABLE BACKPACK FOR YOUR TRAVEL & ACTIVE LIFESTYLE. 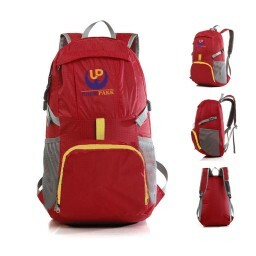 Our innovative products aim to make packing a cakewalk for travelers, outdoors & active individuals. 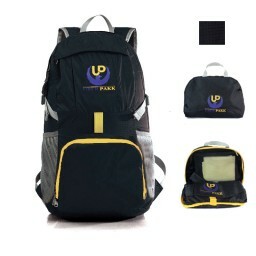 Often, we dread a vacation, as packing is a cumbersome job, but not anymore when you have spacious, stylish, durable, and handy of backpacks and foldable bags in your closet. 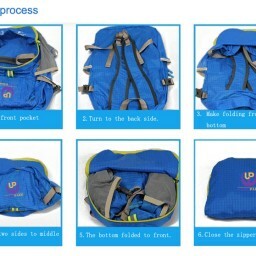 Our innovative products aim to make packing a cakewalk for travelers, outdoors & active individuals. If you are bored of packing in the same, traditional way or the same old color of your bags, then it's time to make the change! Our smart range of foldable bags is just what you need! Just pack your clothes & accessories, zip it, and forget it! Don't believe us? Wait... until you find out more. Our innovation collection of compact, foldable bags made from sturdy & waterproof materials like nylon that offers greater durability & keeps your luggage dry. What more...Our lightweight bags do not add to the overweight charges at the airport. Simply fold and stow them in your luggage, when not in use. Now can it get any simpler than this? • GREATER STORAGE SPACE: Several compartments to store & carry your items comfortably. Nylon mesh on the two sides for storing water bottle, inner zip pocket for storing small items and a large front pocket to store utilities & money pouch. • AIRPORT SUPERMAN: For excess baggage simply unfold our bags from your luggage & stow the excess in them to avoid overweight charges at the airport.